Download Centriam's Retail CX White Paper to learn about how CX drives sales and profits! 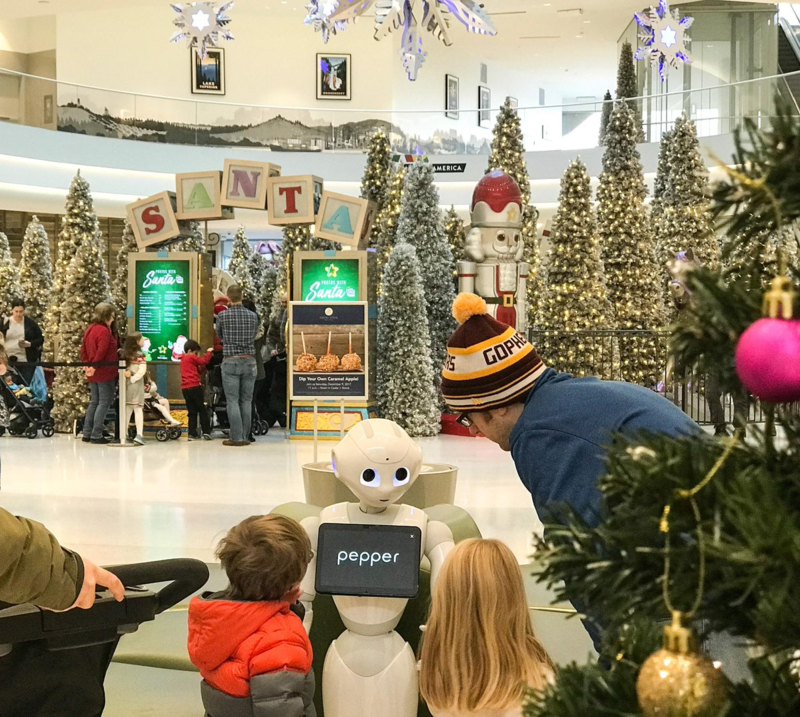 Centriam: How long does it take to get a robotic CX solution like Pepper up and running in a retail environment? Satifi Labs: It depends what you need the robot to do! It can be as quick as turning it on since most products like Pepper have default programs that can work for basic use cases. If it's more robust, like a Q&A bot, it could take 4-6 weeks including testing. We at Satisfi Labs offer phonetic training for voice enabled bots such as Pepper so our 4-6 week time frame account for this as well. Centriam: How can retailers measure the impact artificial intelligence has had on their CX efforts? Satifi Labs: Retailers can measure it by comparing to previous methods in place, by the number of questions the AI is able to answer, and also how accurate the answers it delivers are. The accuracy of a given bot is the most important to us since a retailer is only able to truly scale if the AI they deploy into the market does the job its promised to do. Satifi Labs: Everyone loves Pepper! We've seen it first hand. In stores, sports venues, malls, conferences... everyone loves Pepper and want to talk to her or take a selfie. I think the wonder that new technology brings crosses demographics and touches everyone. Centriam: Tell us about the insights retailers can gain by adding artificial intelligence into their customer experience. Satifi Labs: By adding AI to the customer experience, retailers learn about what their customers are actually thinking. Think of it as having a search bar on your entire store. Retailers get to see products or services that customers are asking about that they might not necessarily carry or highlight. Centriam: What’s been the feedback so far from the Mall of America bot? Satifi Labs: Good so far! It's still in the early stages of the bot program being live in the market, and both parties are still learning how to tweak messaging to ensure the latest and best information is getting to the mall's guests on all channels. Centriam: Anything new and exciting you can’t wait to share with us coming up in 2018? Satifi Labs: I'm not at liberty to say! :) But in all seriousness, watch this space. We're going to keep pushing learning across channels and integrate more of the mall's brand personality into the bot's conversations. Centriam: Most importantly, can Pepper navigate the escalator? Satifi Labs: Ha! Don't make her trip! What are you currently doing to delight your customers? In what ways could your company leverage artificial intelligence? Comment below!